The upper leaves of this vining species have 3 ovate to ovate-lanceolate leaflets that reach up to 2½" long and ¾" wide. The violet or pink flowers reach 2" long. 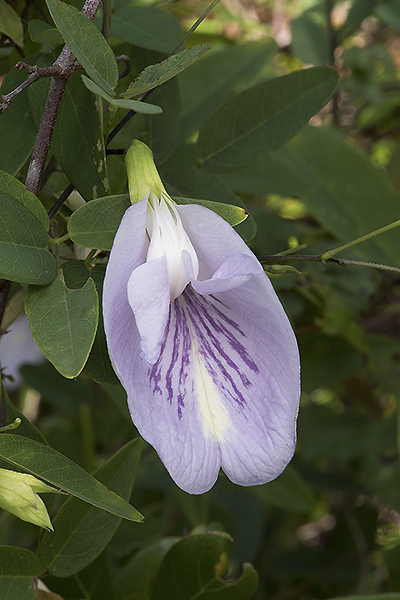 A similar, related, endemic species (Clitoria fragrans) has narrower leaflets, sweetly fragrant flowers, and is known only from the Lake Wales Ridge in Lake, Orange, Polk, and Highlands Counties. In Touch: Teaching children to value and respect the wilderness and the creatures that live there. I feel certain that, like me, most of you can recall more than one occasion when you didn’t explain your thoughts about a subject as well as know you can. I’m currently experiencing one of those moments. On the day before Earth Day, a few other volunteers and I conducted an educational field trip event for the first graders from Lake Alfred Elementary School. My portion of the program involved taking them for a short hike on one of the trails at Mackay Gardens and Lakeside Preserve, which is located in the City of Lake Alfred. 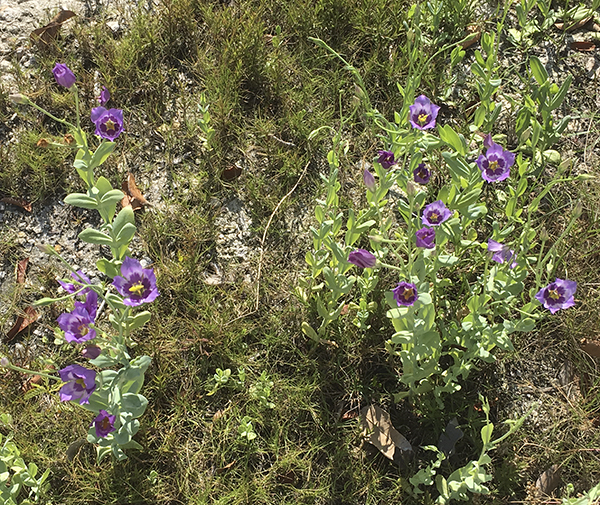 The beautiful Seaside Gentian, Eustoma exultatum, is a herbaceous wildflower found in brackish to fresh wet coastal areas, and inland in wet prairies. The stunning flowers are usually a shade of light to medium purple with a dark purple center, but some flowers appear almost white with dark purple centers. Southern Beeblossom, Onenothera simulansSubmitted by Jean Evoy, a 30-year veteran of FNPS. She has been active in several chapters including Miami-Dade, Serenoa, and Mangrove. 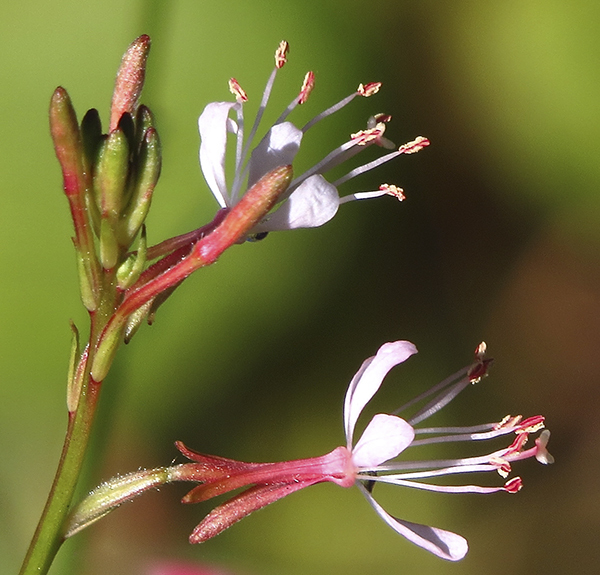 Southern Beeblossom is a common wildflower of roadsides, fields, dunes and open woods in Florida. It used to be called Gaura angustifolia, but a few years ago the evening primrose family underwent extensive revisions and G. angustifolia, was renamed Oenothera simulans along with several other species of that were included in the genus Gaura. Some native flowers are greatly admired, but have yet to make it into our gardens. One is the showy Drumhead, Polygala cruciata. With a few exceptions, Drumheads are found throughout Florida. 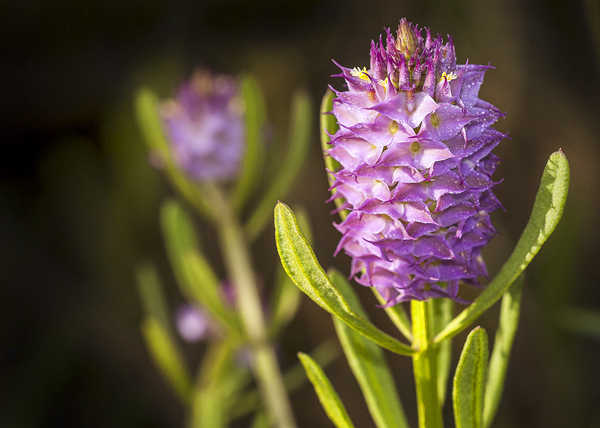 Like many members of the Polygalaceae or Milkwort family, they like moist, open habitats and are found in moist prairies, the edges of marshes, and wet pinelands. Now more than ever, environmental conservation is a hot button issue. Despite the fact that it may feel like an individual contribution to cleaning up the environment is insignificant, enough individuals can effectively become a collective. This means that our kids have also got to be taught how to conserve their environment and care for their local plantlife. 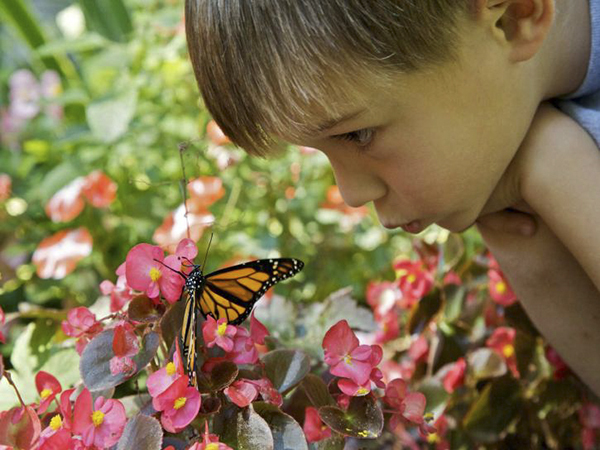 For kids it may be difficult to understand environmental conservation and why it is so important, but with these simple steps you can make it fun, simple and engaging while they're interacting with your garden or the local flora.